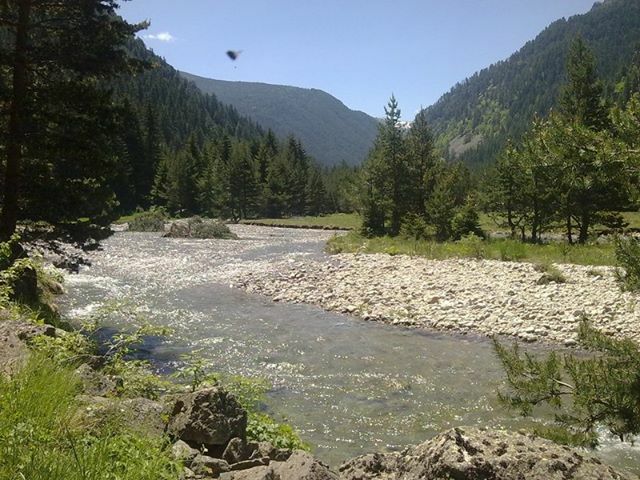 Located 18 km west of Samokov, 28 km from Borovets and 45 km south of Sofia. The village counts 186 inhabitants. It is situated in a picturesque valley between the mountains Rila, Verila, Vitosha and Plana, at an altitude of 940 m. The area is very rich in water. According to some reports in the 17th century there was a big fire that burned to ashes the whole village. Flames painted in scarlet against the background of the night sky gave the name of the village /alen (bg.) = scarlet/. 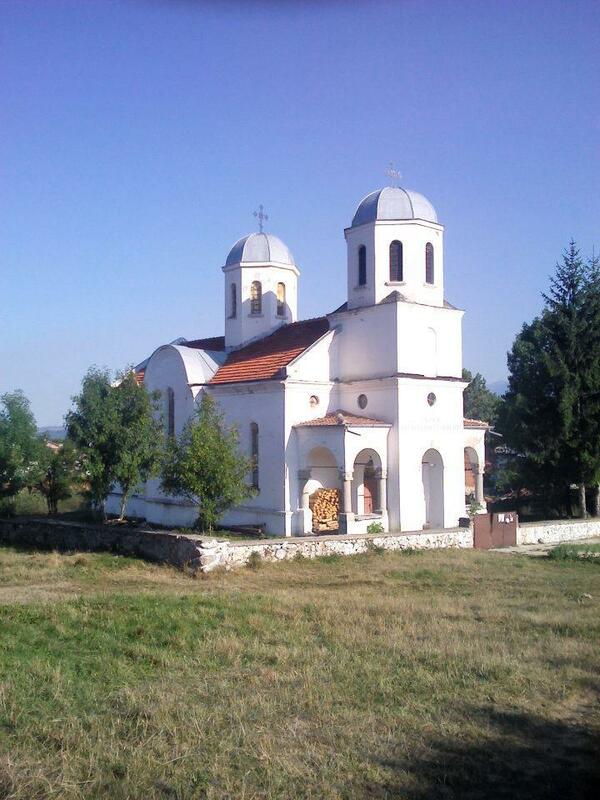 7 km to the northeast in Plana mountains is located Alino Monastery "St. Spas "with interesting murals preserved in the church of the 17th century. Near the monastery is the rock Momina Salza /maiden’s teardrop/ from which constantly dripps healing water. Nearby are the ruins of medieval fortress Alinsko Kale. 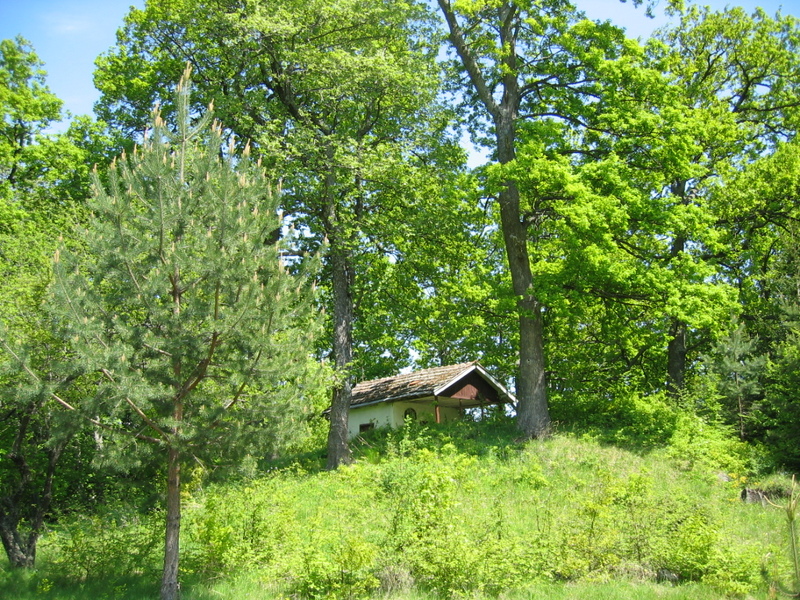 Next to the village are several Thracian burial mounds. 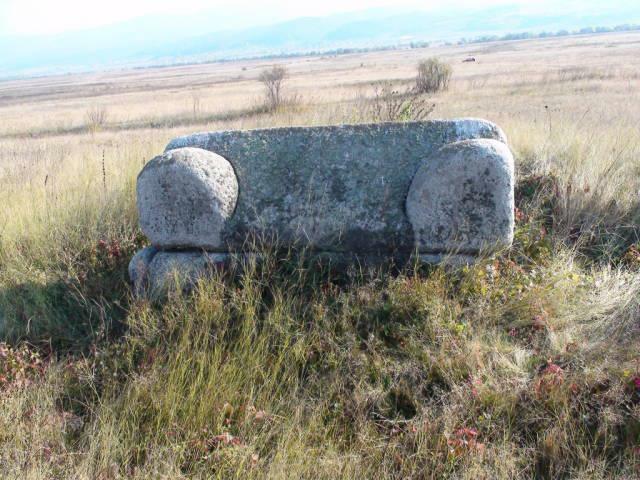 About a kilometer to the west even, in flat fields, you can see impressive stone sarcophagus (probably Roman), which locals call The Maiden because of its distinctive shape. 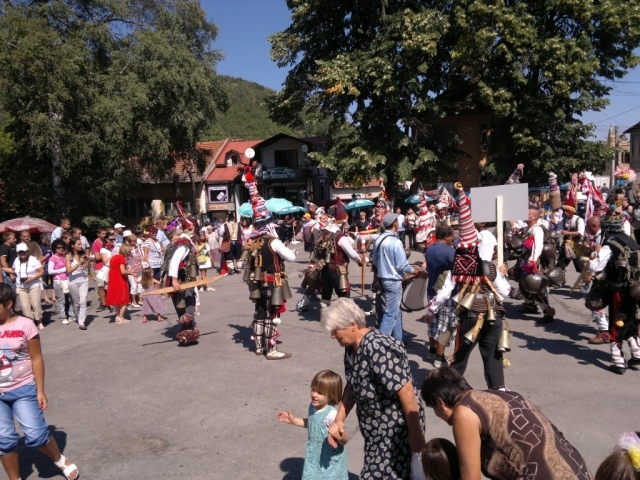 The traditional festival is organized on the last Saturday of August. Just above the village in a beautiful pine forest, a dam was built, which is very popular among fishermen in the region. It is 7 km away from Samokov, 67 km south of Sofia, 8 km from the resort of Borovets, near the same name river, a tributary to the Iskar River. There are 603 inhabitants. It is situated at 1187 meters altitude. It is the starting point of attractive routes to many peaks, huts and places in Rila. 9 km above the village begins Central Rila Reserve, which is the largest one in Bulgaria and one of the largest in Europe. Above the village is built great Ecotrail - "Beli Iskar". Further up are the Eagle Rocks and lake "Beli Iskar." 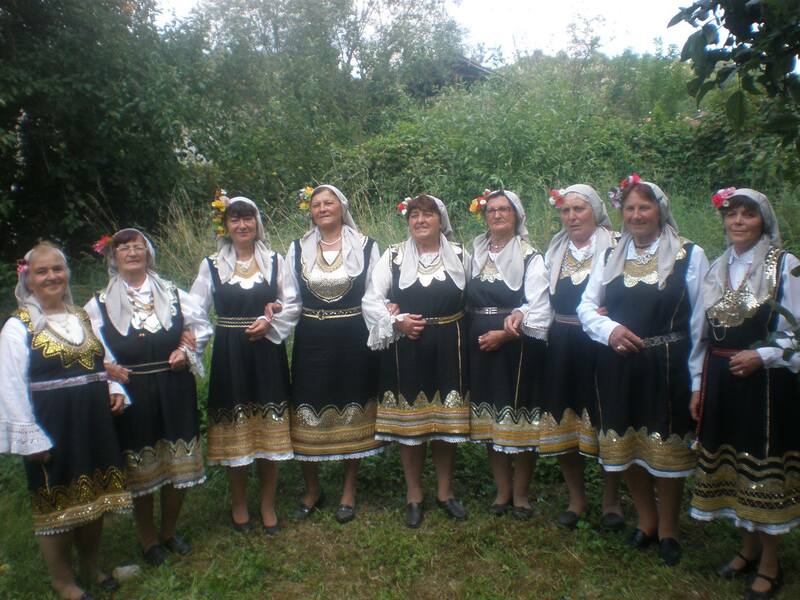 In the village is active the local tourist society, which annually organizes the "Feast of the Rila zelnik" and the festival "Rock in Rila". 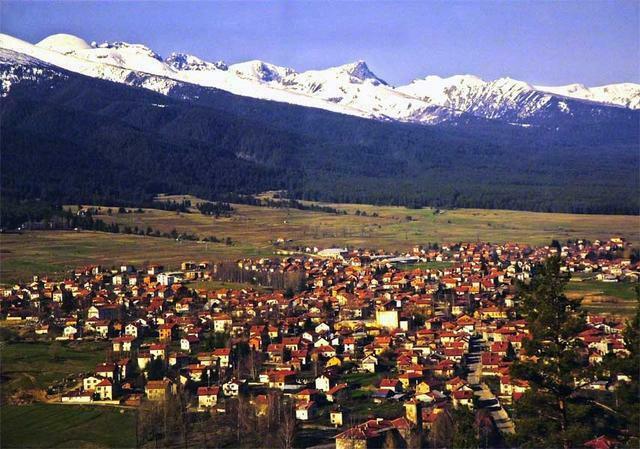 Belchin Village is situated in a valley between the mountains Rila, Verila, Vitosha and Plana. It is located 15 km from Samokov. The region has a thermal water - 41 degrees, with proven therapeutic and prophylactic effects on the musculoskeletal system and skin dermatitis. 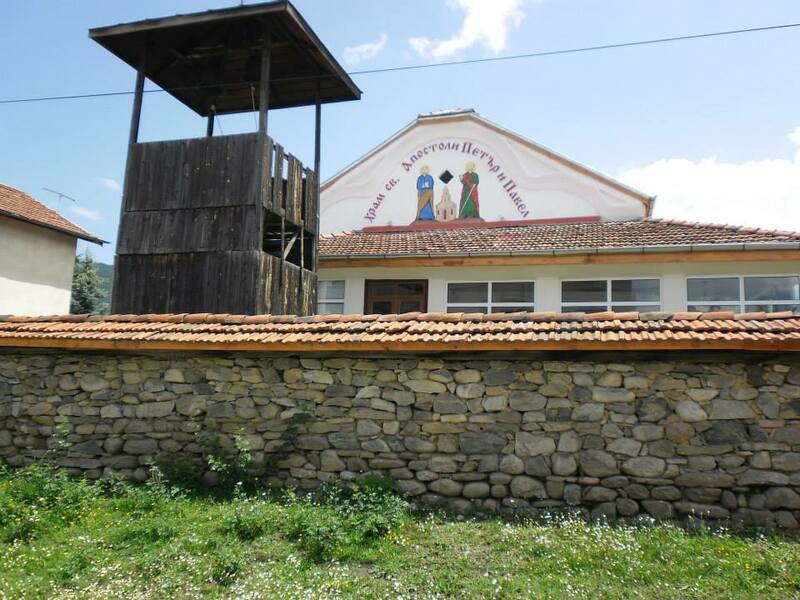 In Belchin is built museum complex, which is a branch of the Museum of History in Samokov.The complex includes the church "St. Petka" museum building beneath the fortress "Tsari Mali Grad" on the hill "St. Spas". 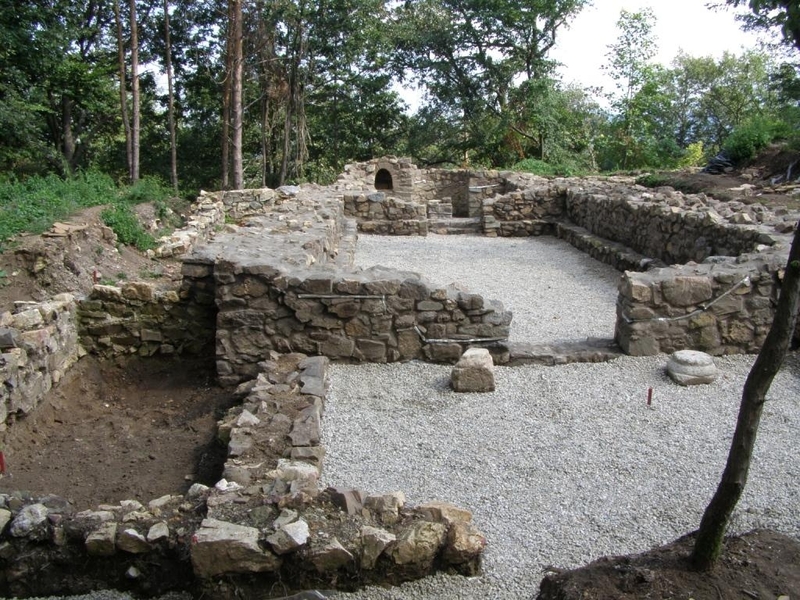 The village has existed since the period of the Second Bulgarian Empire, and some researchers refer to it even more ancient times - founded by Latins. For long and rich history of Belchin show the remains of a large fortress with a chapel located on the hill "St. Spas", where a solid wall was built of hewn stone and bricks from the Roman Empire. Once this settlement is named Tsari Mali Grad. Fortress wall surrounds an area of ​​9 acres. To Tsari Mali grad can be reached by several ways. Tourism lovers can enjoy two trails. For those who do not like to get off the car, there are asphalt. But surely everyone would prefer to use the Funicular - rail car, the windows of which booths during the climb and descent will be able to enjoy the panorama of Palakaria - so called valley between Vitosha and Rila. Rope bridge leads from the outside entrance of the fortress to citadel and will surely be the favorite mode of transportation for the smallest visitors. For them apart is made also a playground with all sorts of attractions. The courtyard of the fortress t is made like a beautiful park. The church "St. Petka", existed since the middle of the XVII century, was built on the foundations of a more ancient temple of XIII-XIV century. 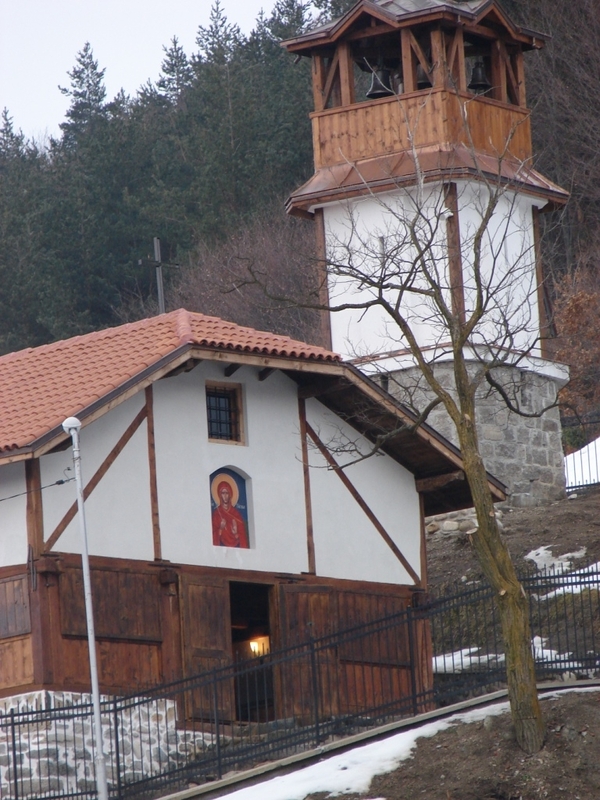 The church "St. Petka" is located on very steep place (visible from the surrounding villages). 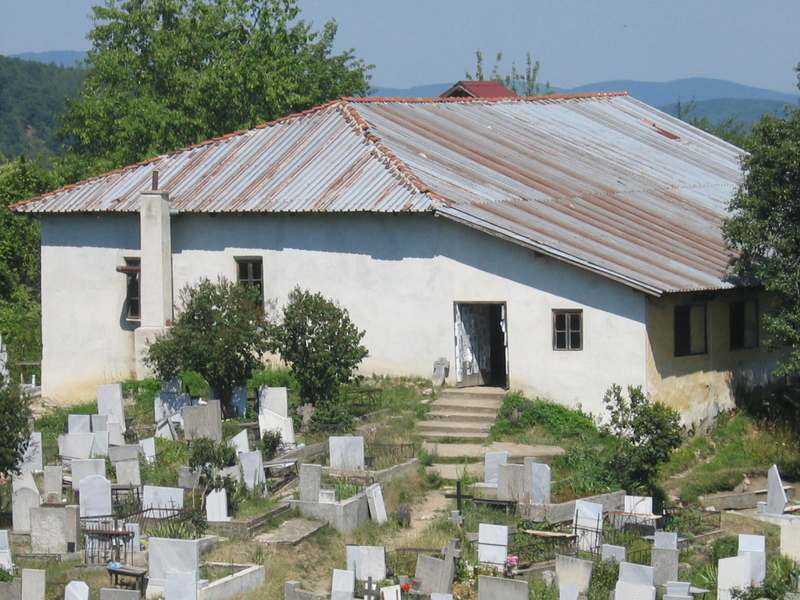 "St. Petka" is a nave cemetery church with semi-cylindrical vault and double-pitched roof. The building is made of stone masonry and river stones with mortar and reinforced with wooden props. In the museum are collected exposures of objects with different domestic themes preserved culture and traditions of people over the centuries. It replicates a Balkan house built in the first half of the 19th century as function and image. On the ground floor, built with the original heavy stone walls there were in the past rooms for animals, food production and food storage, and production of the basic livelihood of the family. The second floor has exposures related to everyday life of the family, clothing, jewelry, personal and hunting weapons and specific documents and readings. There you can see all the items used in the lifestyle of Revival - from pots, spindle and domestic containers to ornaments and tinsel Upper - a festive costume of the woman of Belchin village. All clothing and rugs are made by local women. In fact, the collection was donated by all the villagers. They donated their family museum relics to be preserved for future generations. The roof has four levels pyramid covered with red tiles. 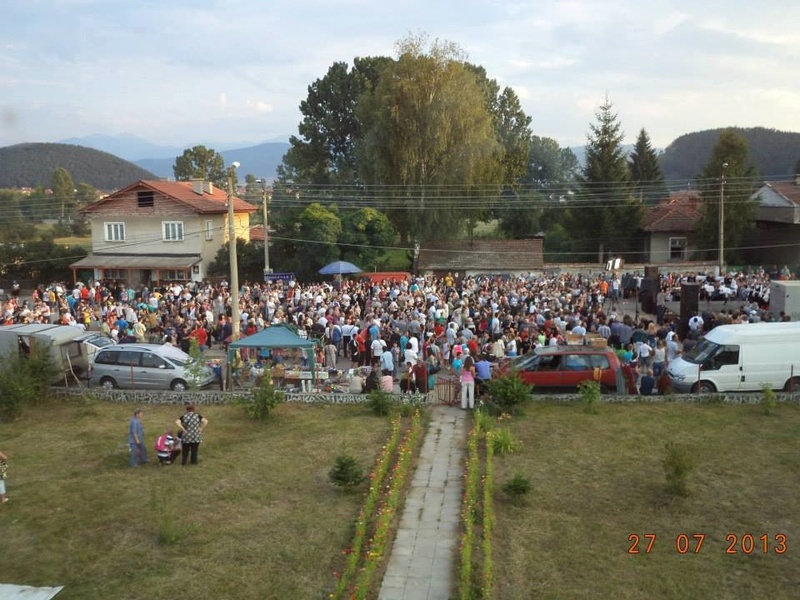 This is the largest village in the Samokov municipality and 1293 inhabitants live there. 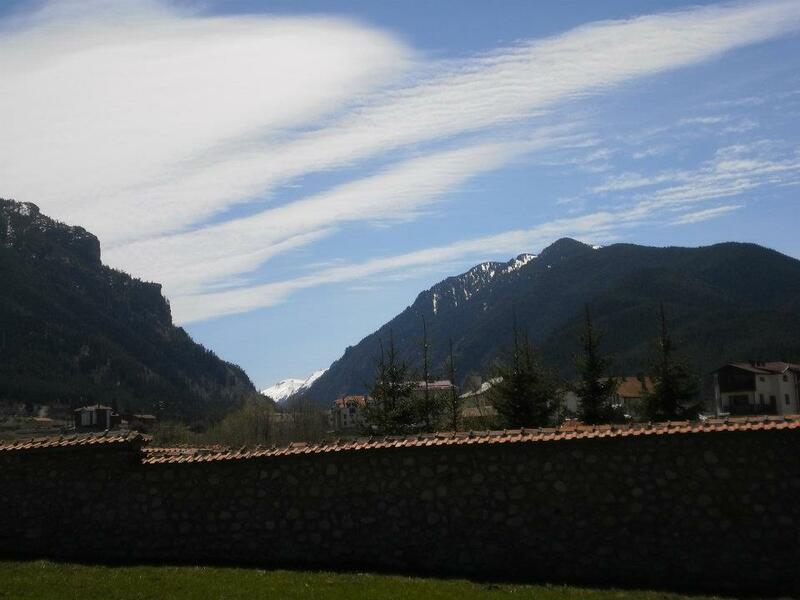 The village is situated in Govedarska valley, 1268 meters above sea level, along the Black Iskar River. There is snow at an average of 160 days a year. 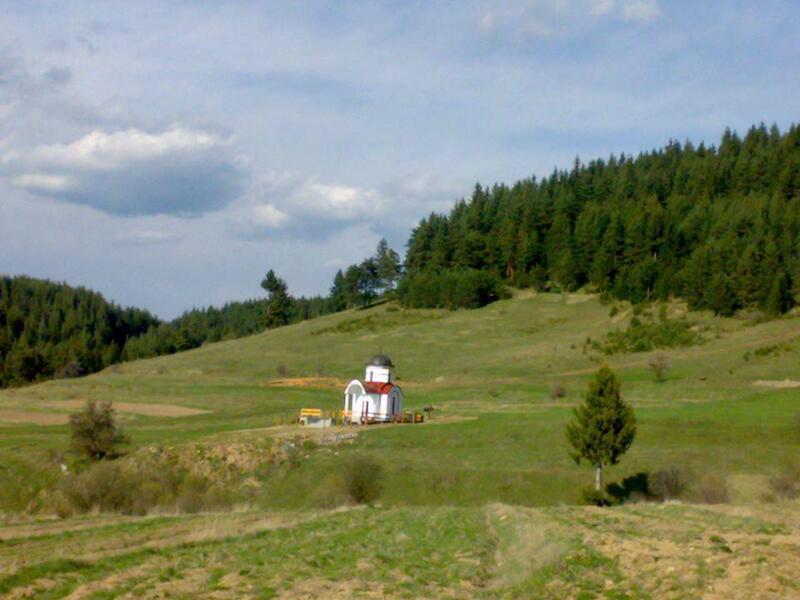 It is located 13 km southwest of Samokov and 73 km away from Sofia. In Roman times there were mining settlements in this area, and gold was extracted as well. Near the village there is a monastery "St. George ". In the village were built many guest houses and family hotels that offer excellent conditions for recreation of visiting tourists and skiers. 2 km southwest of the village there are ski slopes and lifts. 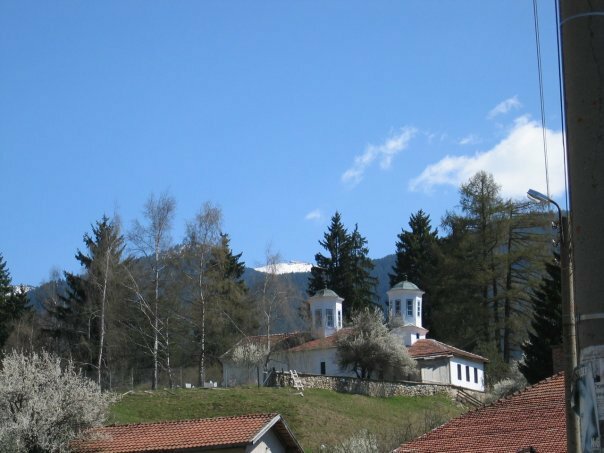 The village is the starting point for many hiking trails, including Seven Rila Lakes, Urdini lakes, Great lake, the Rila Monastery and others. 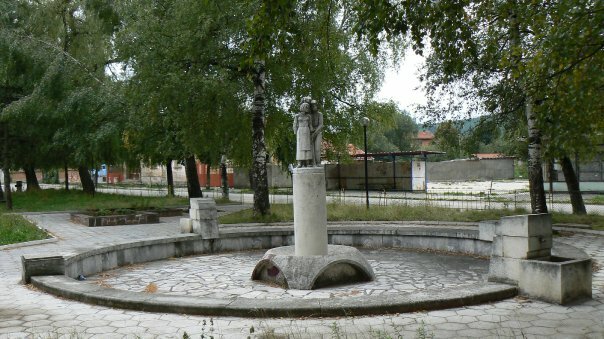 The village is located 16 km from Samokov and 46 km south of Sofia. It is situated in the eastern part of the Plana mountain near the small Vuina / Okolska / river, a tributary to the Iskar River. The altitude is 950 meters. In the village live 140 inhabitants. 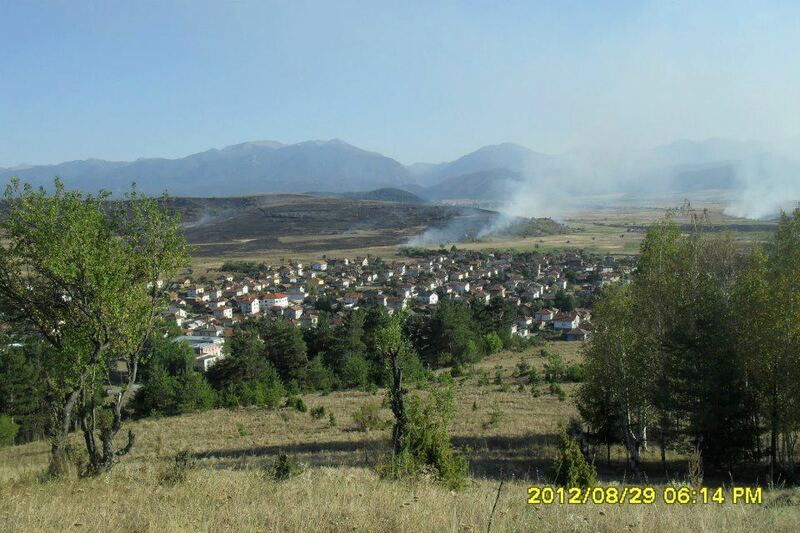 The village is just 3 km from the dam lake "Iskar". Information about the village is in the Ottoman register from 1576. It is assumed that this place is inhabited after the plague. Church primary school was opened in the village before the 1835 - before the liberation in 1878, an old church "St. Prophet Iliya", built in two stages, the second in 1857. 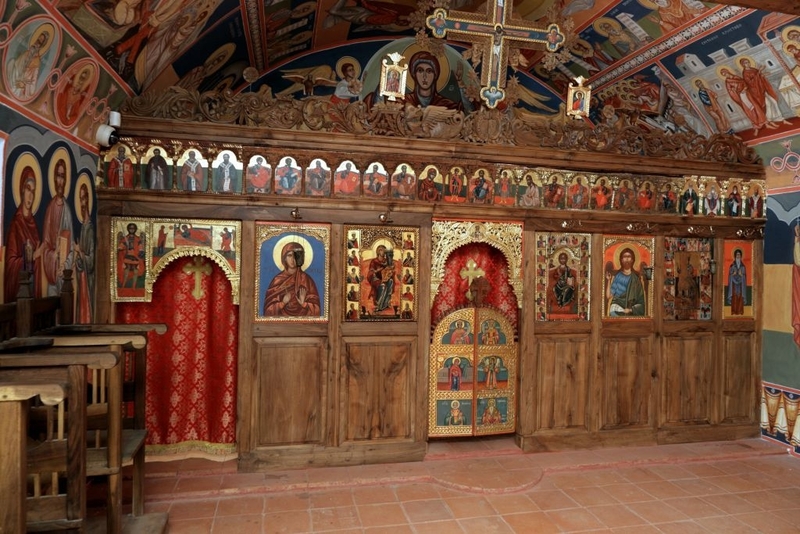 The church is richly painted inside by one of the most prominent representatives of the Samokov School of Art, Nicola Obrazopisov. His assistant in icon painting is the son of the famous Bulgarian artist Zahari Zograph – the future great politician Christo Zograph. It is 17 km from Samokov, 20 km from Borovets and 77 km from Sofia. Population of 121 inhabitants. The village is situated at the foot of Rila, at an altitude of 793 m. The village consists of two neighborhoods - Upper and Lower. 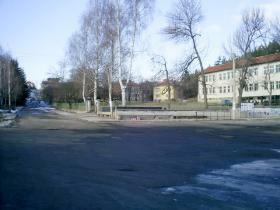 In the Lower neighborhood there is karst Lake, which is the only in the settlements of the municipality. The village offers a magnificent view to the mountains. 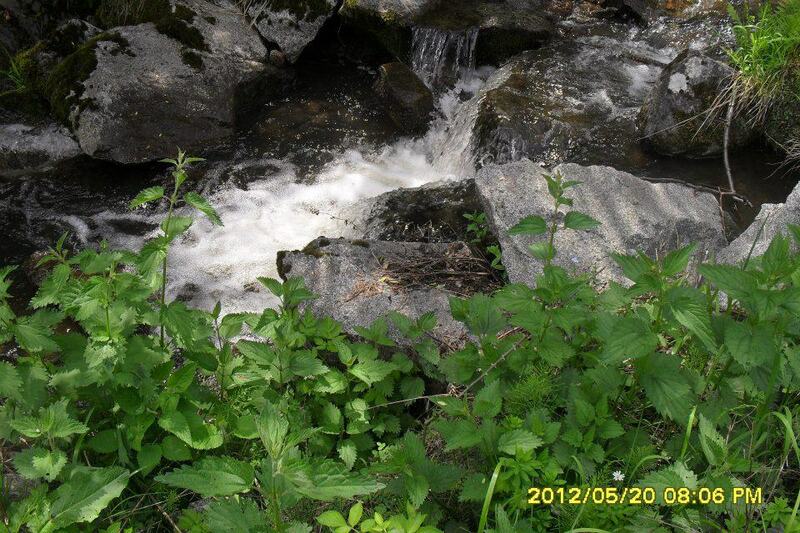 Very close are Dolna Banya and Pchelin known for its mineral waters and baths with proved healing qualities. The village is located 20 km north of Samokov, 40 km from Sofia and only 3 km from the coast of Iskar dam. It is nestled in the eastern part of Plana Mountain, at an altitude of around 800 m, and has a mountain climate. 105 permanent inhabitants live there. The area is very suitable for recreation and tourism throughout the year. Near the west coast of Iskar dam is the villa zone Shtarkelovo Gnezdo /Stork’s nest/ . Iskar dam is the largest in Bulgaria and offers excellent conditions for fishing and water sports. The magnificent views and attractive restaurants make it a wonderful place for relax. 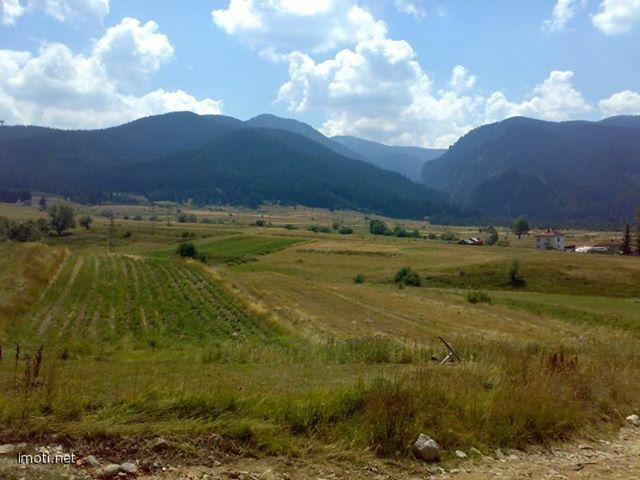 Located 3 km southwest of Samokov, 13 km from Borovets and 63 km from Sofia. Its population is 606 people. 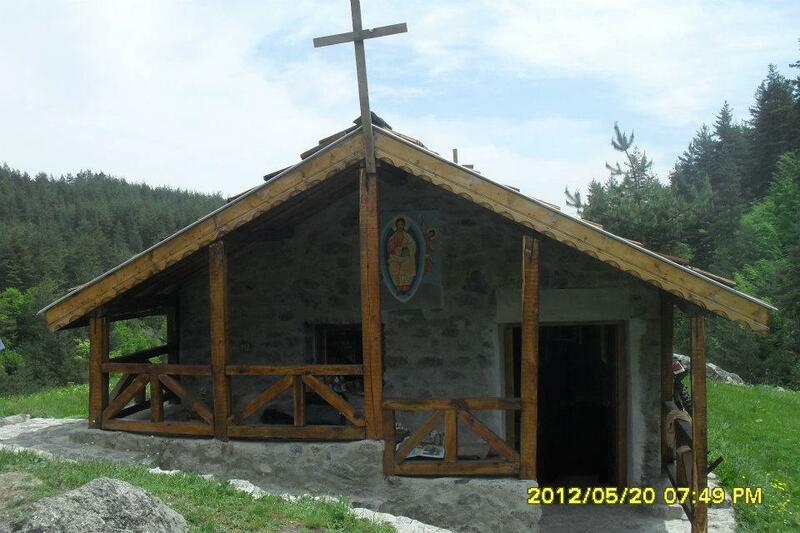 It is situated at the foot of Rila Mountain, 960 meters above sea level. The area is dominated by gentle slopes, rounded ridges and peaks. The village is located in a very beautiful area, near a pine forest and a river. Nearby is Shishmanovo kale /shishmanovo fortress/. 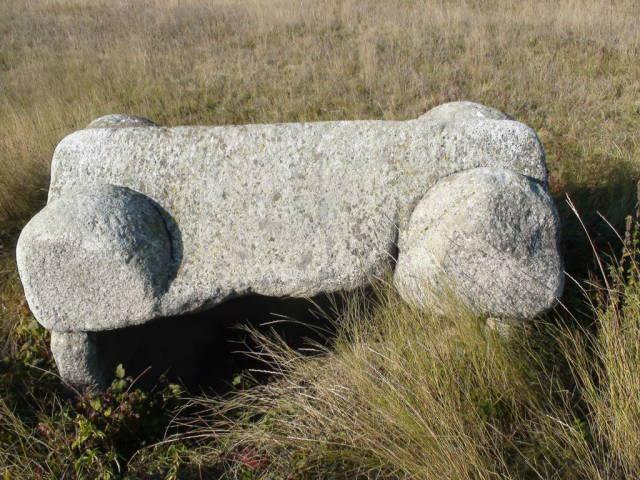 Archaeological studies in recent years in this area have shown that in the first centuries of the new era there was a settlement here with important administrative and religious functions. St. Peter's day is the traditional festival of the village with kurban /ritual meal of boiled beef and vegetables/. Here was born the founder of the famous Samokov Art school Hristo Dimitrov / about 1750-1819 /. 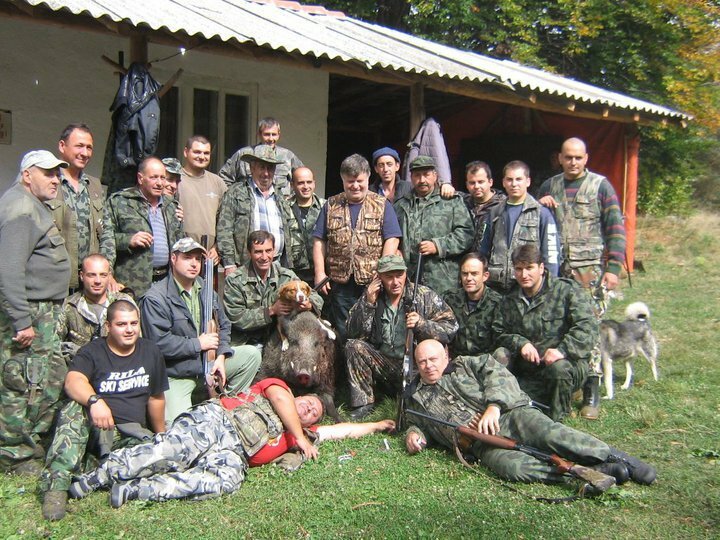 There are many reports that suggest that the village is the birthplace of the very Paysiy Hilendarsky. Located 2 km away from Samokov, 12 km from Borovets and 60 km from Sofia. It is situated in a small valley on the right bank of the river Iskar. 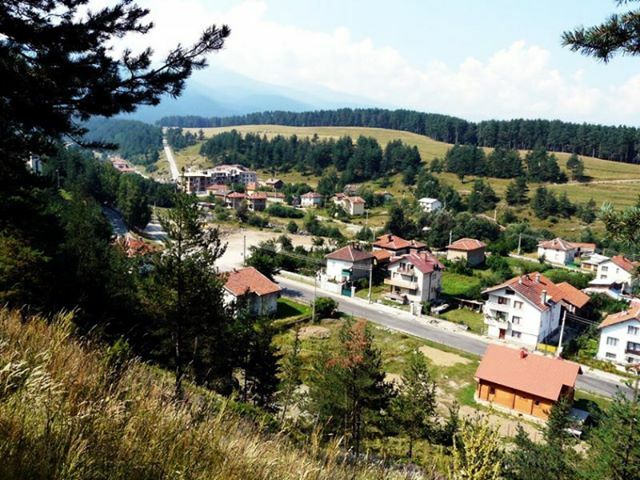 Altitude is 900 meters With its 623 inhabitants village occupies 6th place out of 24 villages in Samokov. 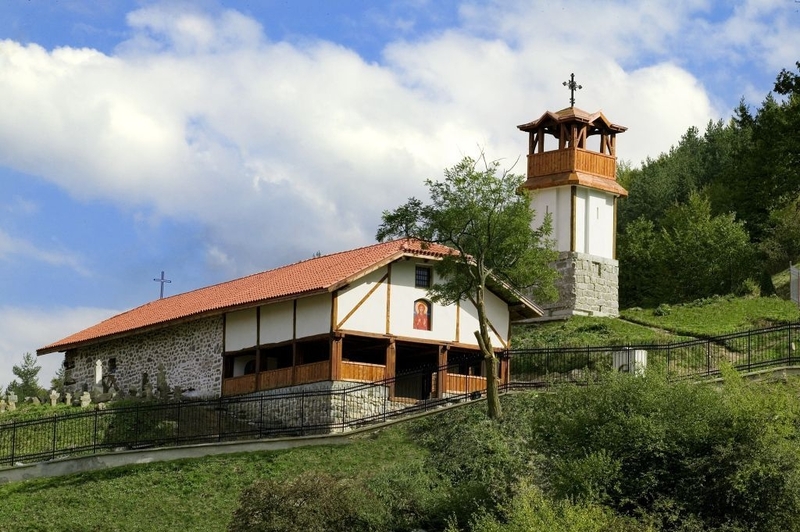 The village is known for its many stork nests - over 60, and the ritual kurbanmeal with crabs, made traditionally on the celecration of the local church - "St. Todor ". 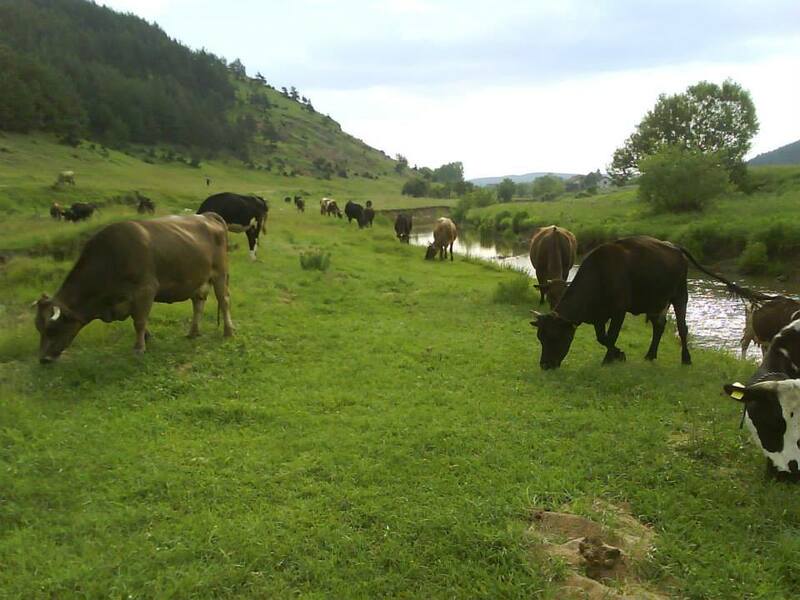 Near the village, along the Iskar are wonderful lush meadows. Not surprisingly, there has been developed animal husbandry, and to this day in the land of the village also grow grains. 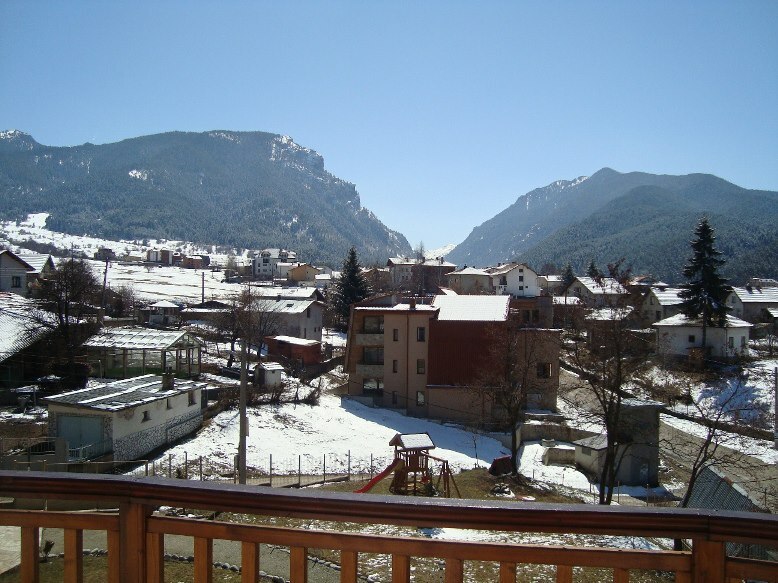 The village is located on a mountain slope, 6 km north away from Samokov. At the lower end of the village passes the Iskar River. The population is 248 people. In the past, the village was known for its lush meadows. One version is that they / 'zlak' / give its name. Traditionally developed livestock and grain production. Value of the village are the church and the chapel, which is located between Zlokuchane and Dragushinovo. There is built also a great place for relaxation. 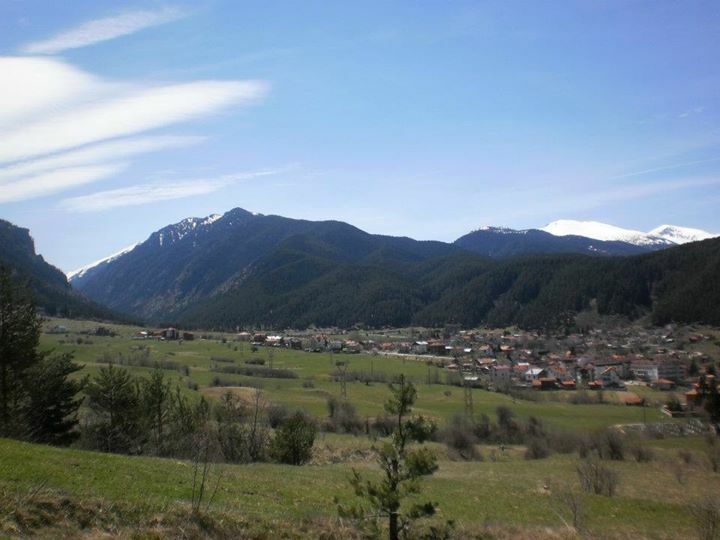 The village is located 15 km west of Samokov and 25 km from Doupnitsa. Located in Klisura saddle that separates the Rila and Verila mountains. Here lies the so-called Balkan watershed. Altitude - 1000m, population - 190 residents. 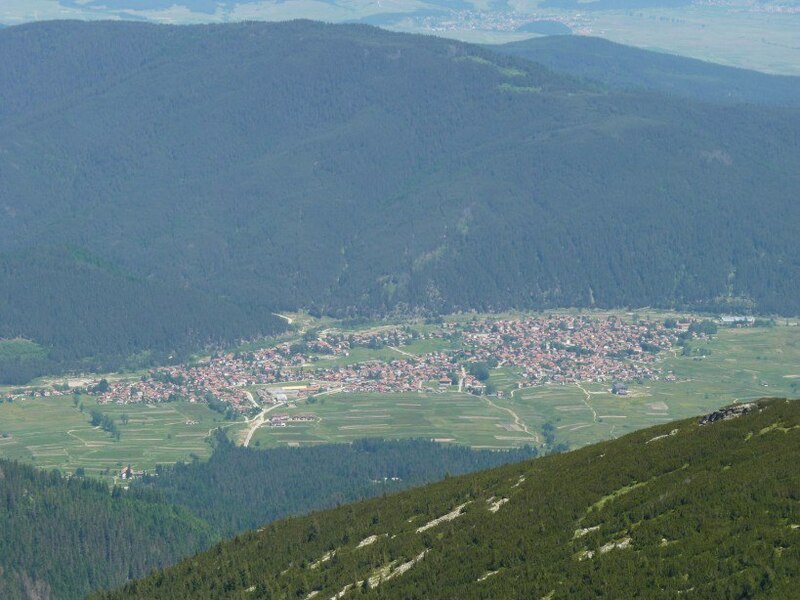 The settlement was starting point of popular tourist route that crosses several mountains: Vitosha, Verila, Rila and Pirin. Attraction in the area of ​​the village is the five centuries old oak. 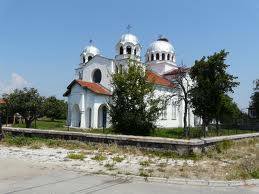 Very interesting is the local church "St. Demetrius of Thessaloniki", its current building was completed in 1874. 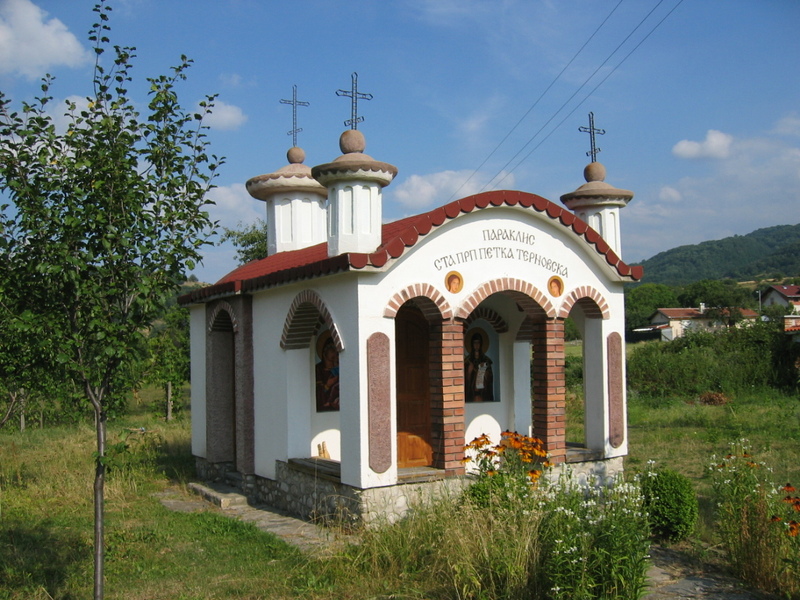 Unlike all other temples in the municipality, the church in Klisura is oriented north-south, probably a Byzantine model. Since 2007 it was listed as architectural and artistic monument. 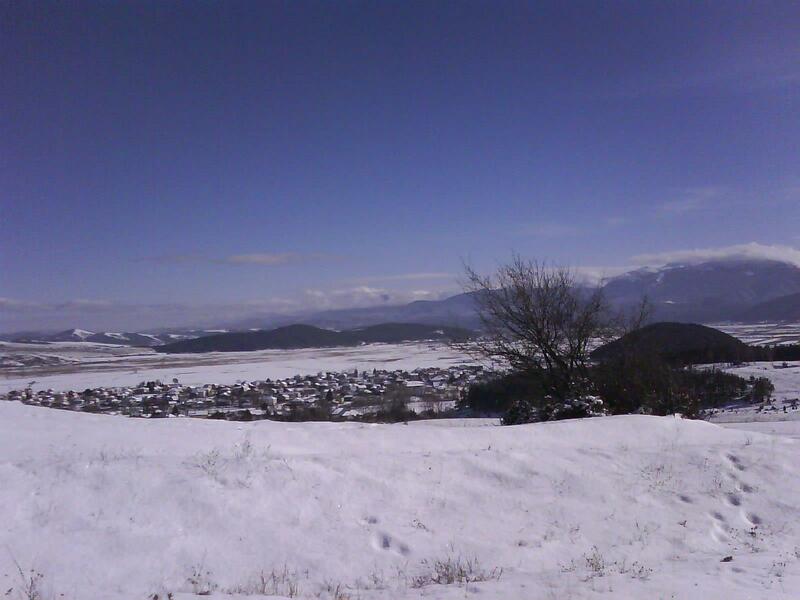 Located 25 km northwest of Samokov and 38 km from Sofia. Altitude is 960 meters and the population is 414 inhabitants. 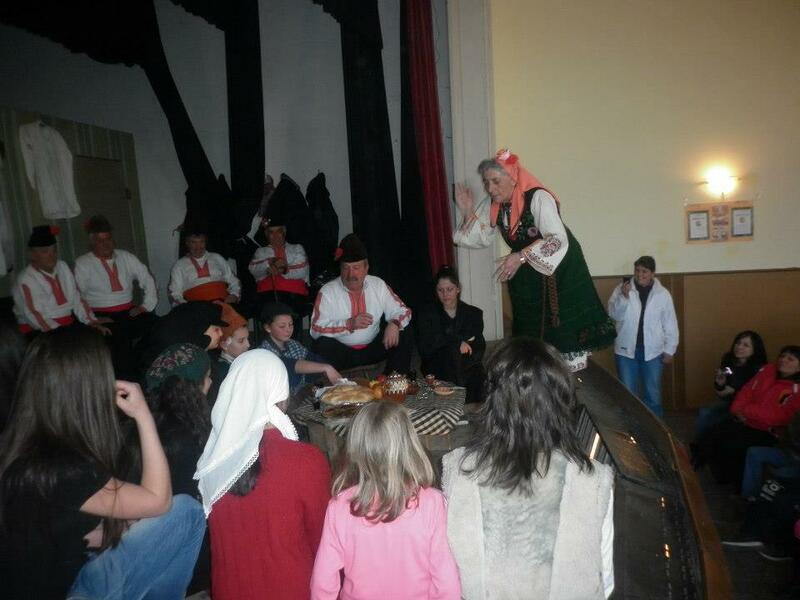 The village is situated in a mountainous area between the mountains Vitosha, Rila and Plana. 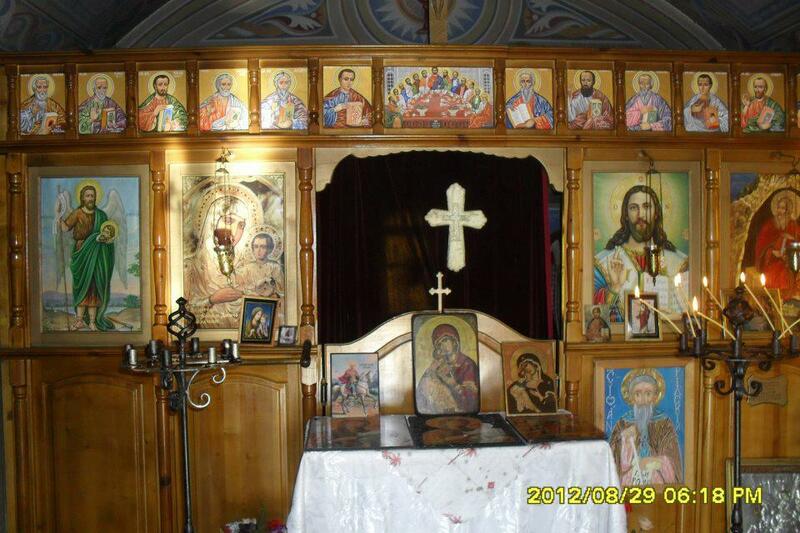 The village church "St. Elijah the prophet "has beautiful frescoes, and nearby there is a chapel" St. George ". 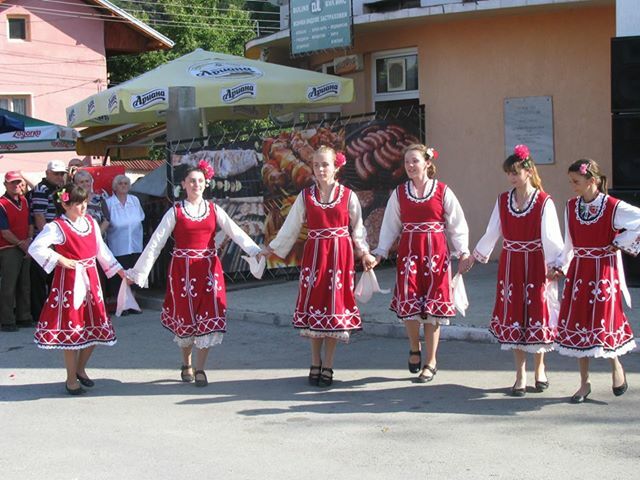 The traditional fair is held each year in Kovachevtsi the last Sunday of August. On its land is the Yarema area, which has the status of villa zone. 4 km from Kovachevtsi is also a beautiful dam lake for fishing and recreation. It is situated in Lakatishka Rila mountain, 12 km south of Samokov, 16 km from our other resort Maliovitsa and next to the largest village in the area - Govedartsi. 273 people live in Madzare. The relief is mountainous at an average altitude of 1000 meters. Near the village flows Iskar river. At Spasovden /the day of the Ascension/ a great fair takes place in the village. The church is called "Vaznesenie Gospodne”/Ascension/. A few kilometers above the village starts "Central Rila Reserve." It is situated 10 km south of Samokov, 12 km from Borovets, 18 km from the resort Maliovitsa and 70 km Sofia. The village is located at the northern foot of Rila, near to the river levi Iskar, at an altitude of 1195 m. The Residents of Mala Tsarkva are 432. 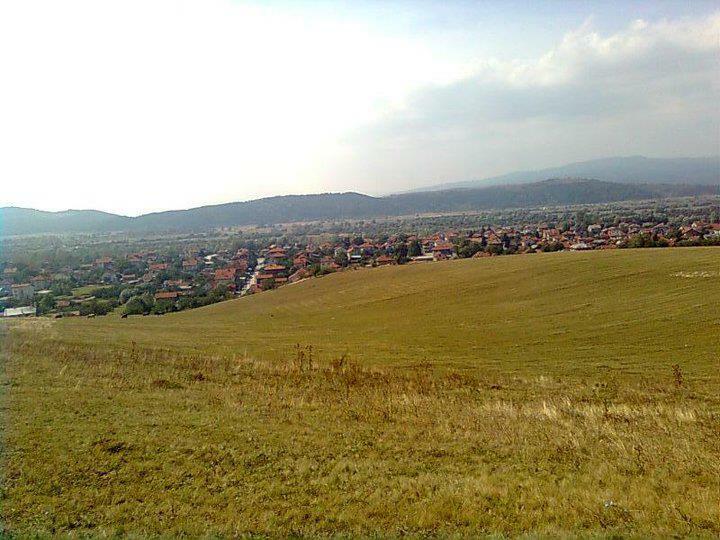 Until 1887 the village was called Srabsko selo/Serbian village/ because of former settlers from our western neighbor. Partially preserved is the Church "Sts. Peter and Paul "from 16th century, which was under the earth during the Ottoman rule. It was declared a cultural monument. The traditional festival of the village is on St. Peter’s Day - June 29. 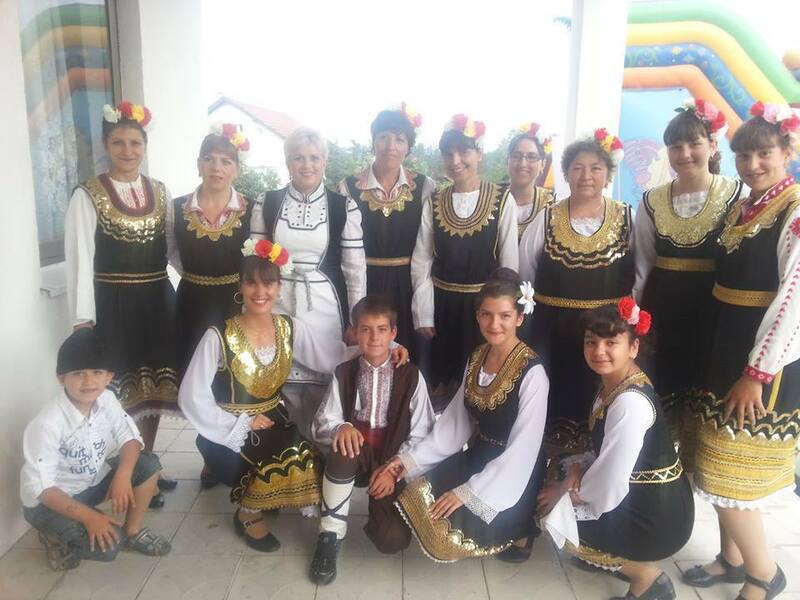 A water fest is held in honor of Rila - the Bulgarian mountain with most water. Extremely beautiful nature attract more tourists, in response to which in the village are built hotels, guest houses and restaurants. Located 25 km southeast of Samokov and 15 km from Borovets. Neighboring villages are Raduil and Gutsal, and the nearest town is Dolna Banya, which is known as a resort and spa center. 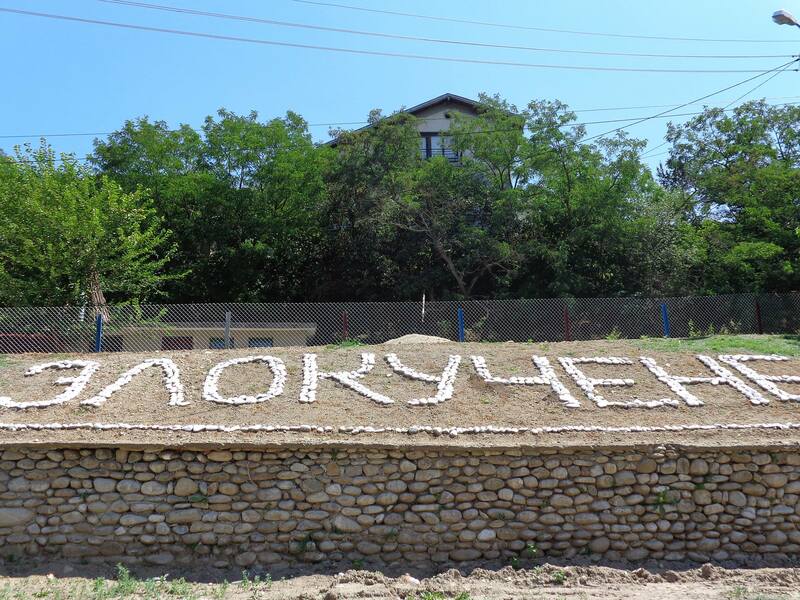 Maritsa river flows through the village and gave it its name / until 1934 it was named Mahala / . Unlike the areas to the north of Borovets climate is milder. The population is 704 inhabitants. In the southwestern part of the village is the church "St. Nicholas ". It goes back to the Middle Ages and is one of the oldest temples in the area. The murals in the church are a cultural monument of national importance. 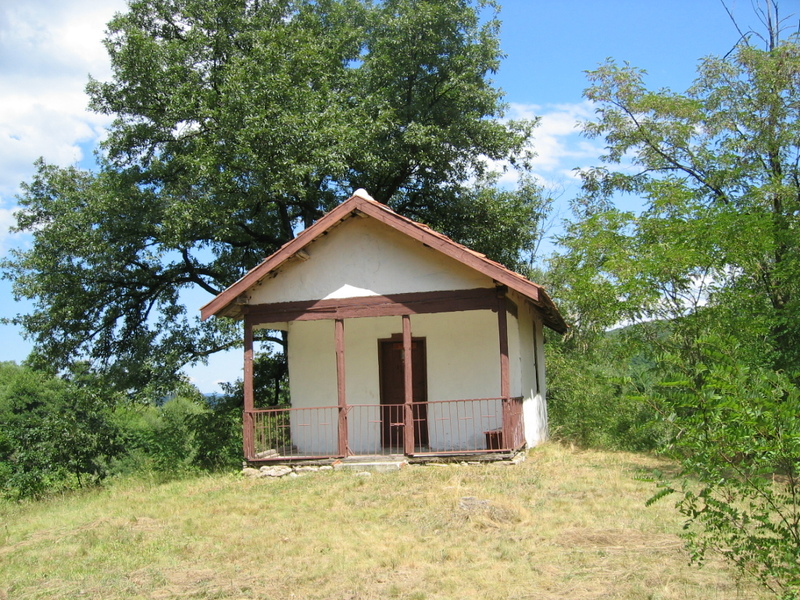 It is situated in a mountainous area on the slopes of the hill Shumnatitsa. Shipochnitsa River passes through the village and empties just a few miles north into the neighbouring dam lake "Iskar" - the biggest in the country. 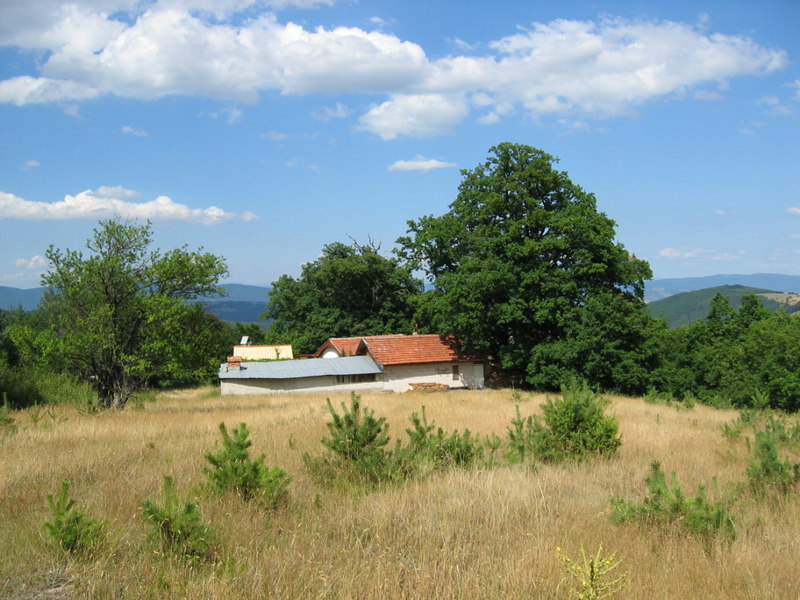 The altitude of Novo selo is 850 meters. It is located 12 km northeast of Samokov and 24 km from Ihtiman. 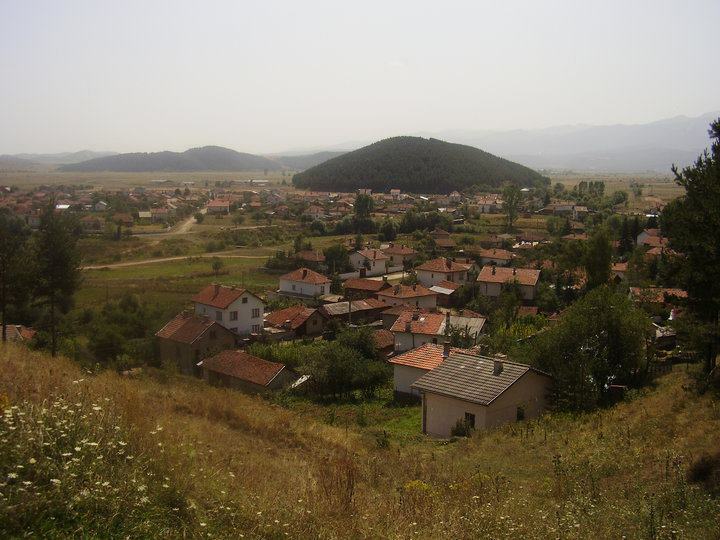 The village has 93 inhabitants and is the smallest village in the municipality. 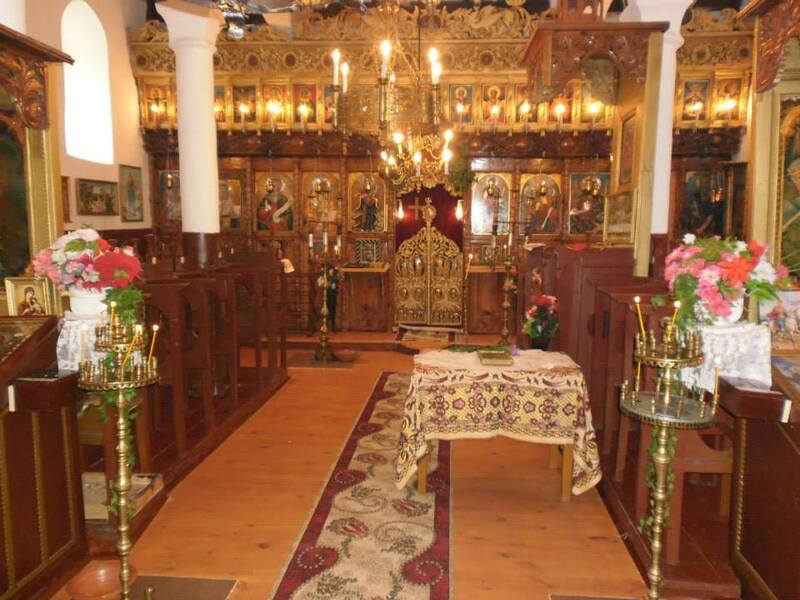 In recent years, in the village has built a beautiful new Orthodox church. 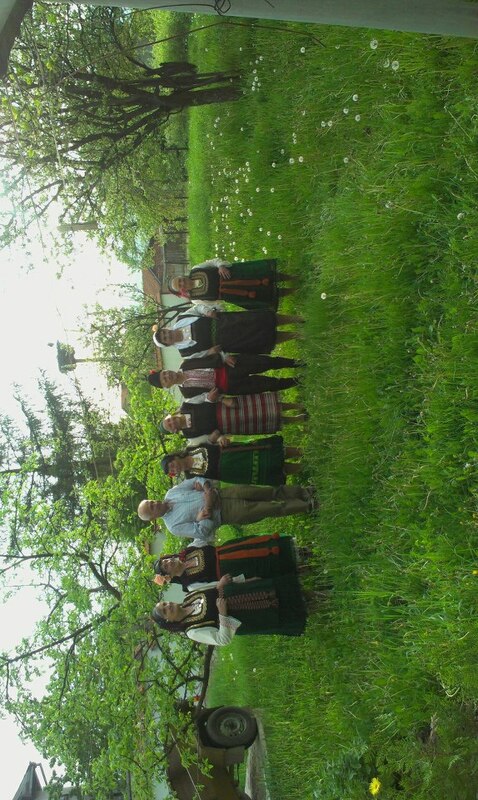 The traditional festival of the village on St. Peter’s day - June 29th. Located at the foot of the mountain Plana, in the valley of river Palakaria. 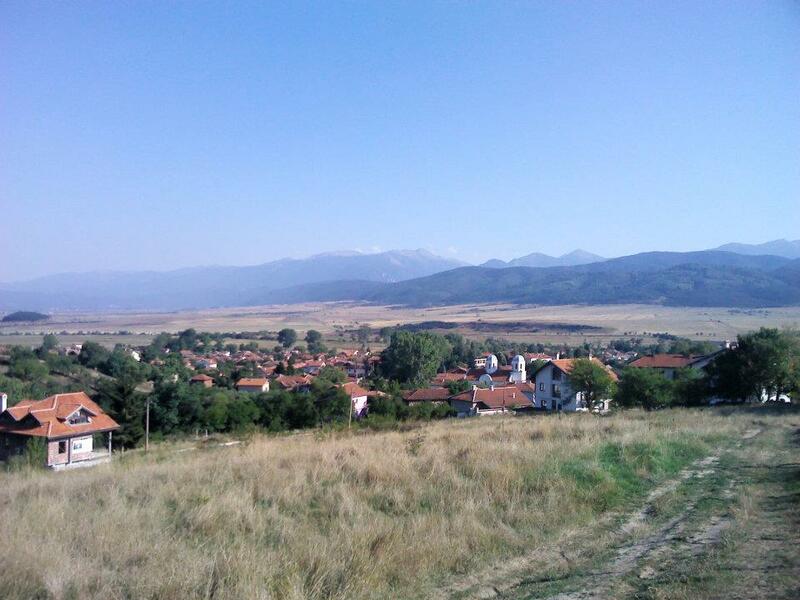 The higher parts of the village reveal wonderful views to the surrounding mountains Vitosha , Rila and Verila. 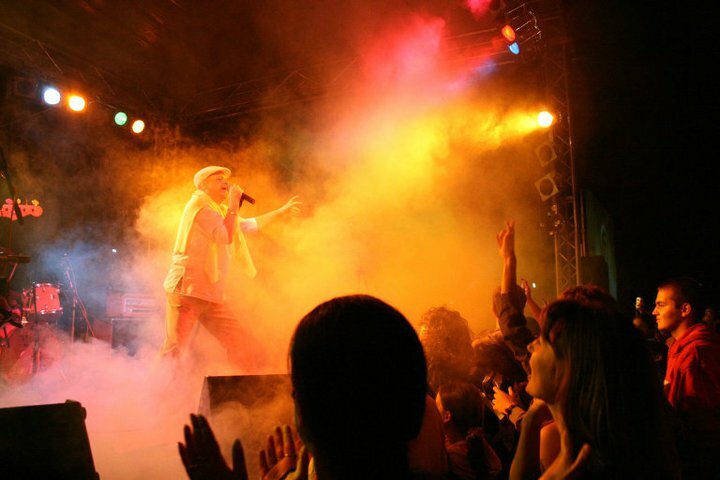 Popovyane is located 22 km northwest of Samokov, 32 km from Borovets and 42 km from Sofia. The altitude is 970 meters and the population is 210 inhabitants. 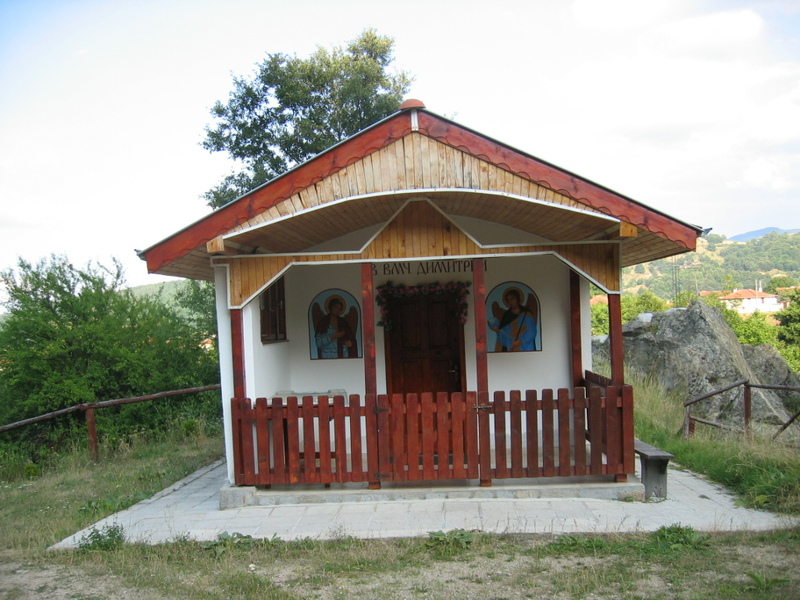 Each year in the area called "St. George " near the village takes place a great fair, there is built also a chapel. Near the village is Alino Monastery "St. Spas ", the rock" Momina salsa”/ Maiden’s tear /with healing water and the medieval fortress óf Alinsko Kale. The dam lake "Alino “is particularly popular among fishermen. 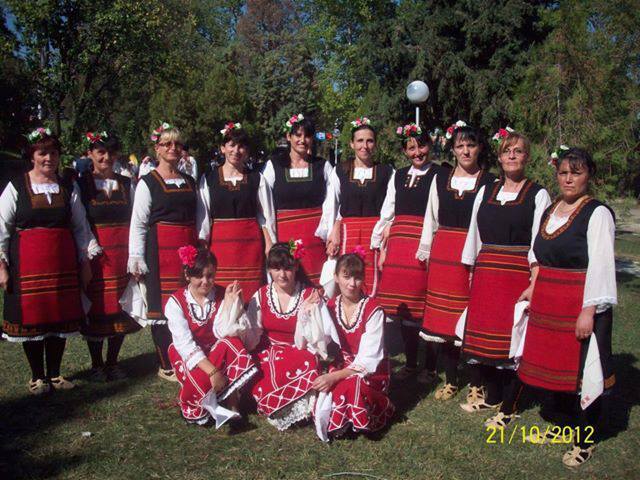 It is situated in a mountainous area near the famous Prodanovski Hill, just 2 km west of Samokov and 12km from Borovets. There are 502 inhabitants. 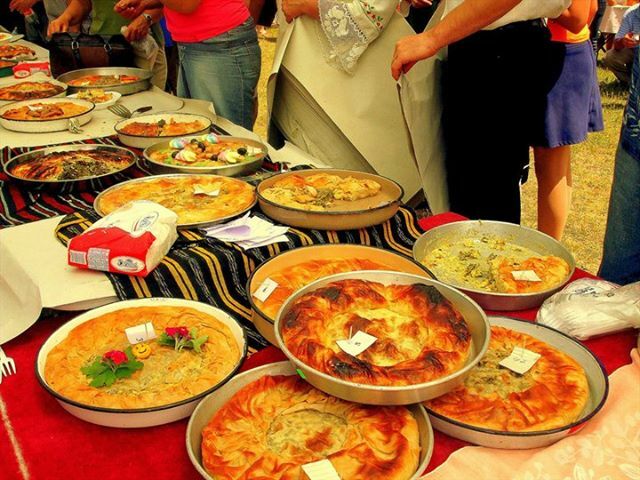 The traditional festival with Kurban/ritual meat meal/ is on July 12th / St. Peter's day Old Style /. It is located 22 km southwest of Samokov, 12 km from Borovets, 82 km from Sofia and 100 km from Plovdiv. 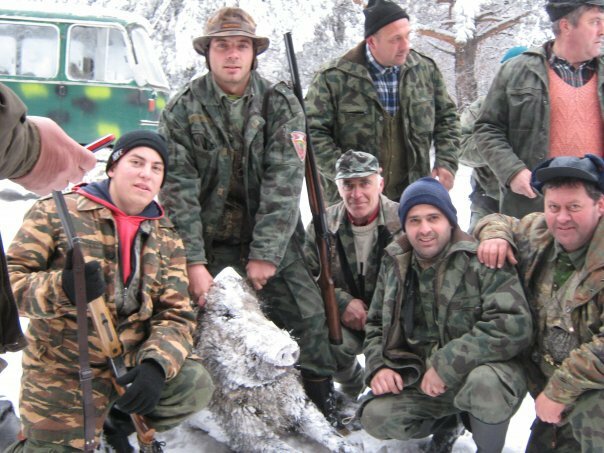 Only 6 kilometers away is the town of Dolna Banya. Raduil is located at the foot of the Rila mountain in a mountainous area with an altitude of 833 meters. Climate is relatively mild due to the influence of the warm currents that come along the Maritsa River, near which the village itself is located too. 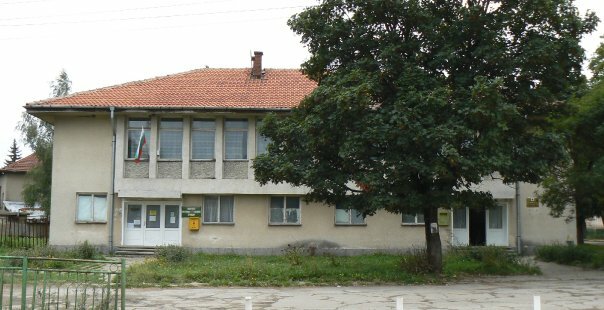 Raduil is the second largest village in the municipality of Samokov with 1109 inhabitants. It is an old settlement known during the Ottoman rule with the mining and processing of iron. 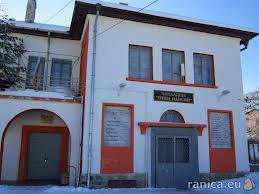 Here till the early 20th century work the last smeltery in Bulgaria and the Balkans. 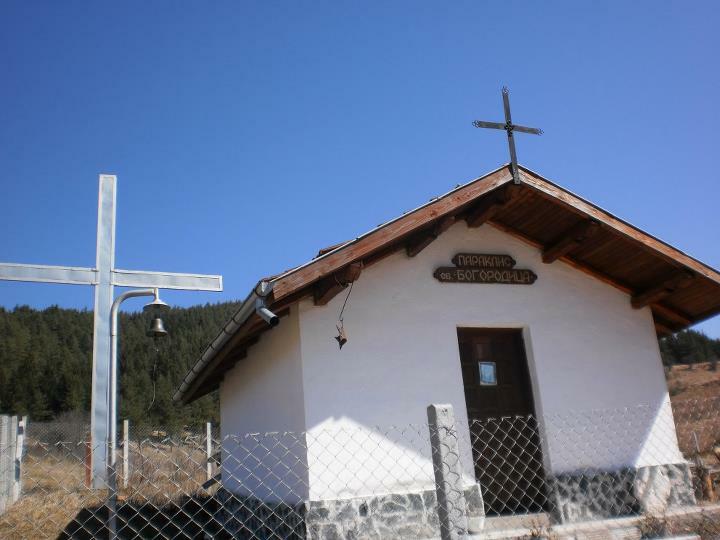 In the village and around it there are 2 churches, a monastery and 13 chapels. 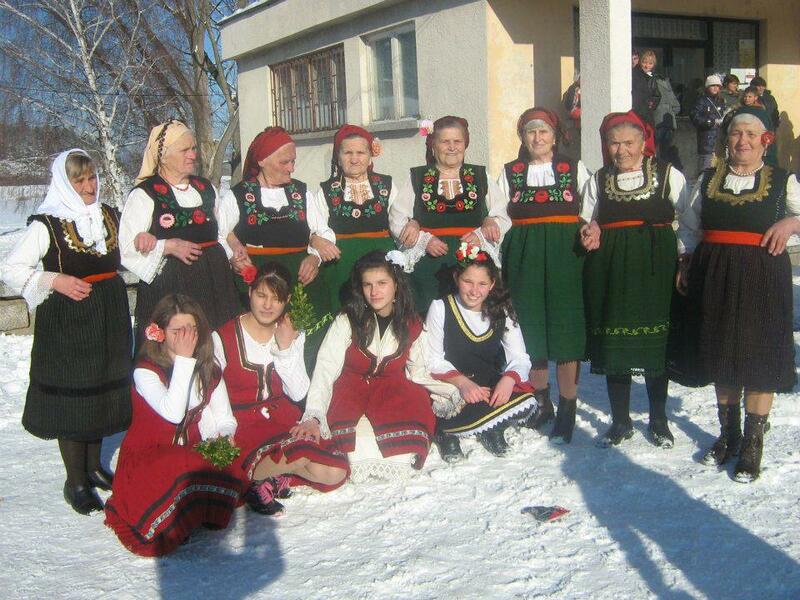 The last years the village successfully attract tourists. 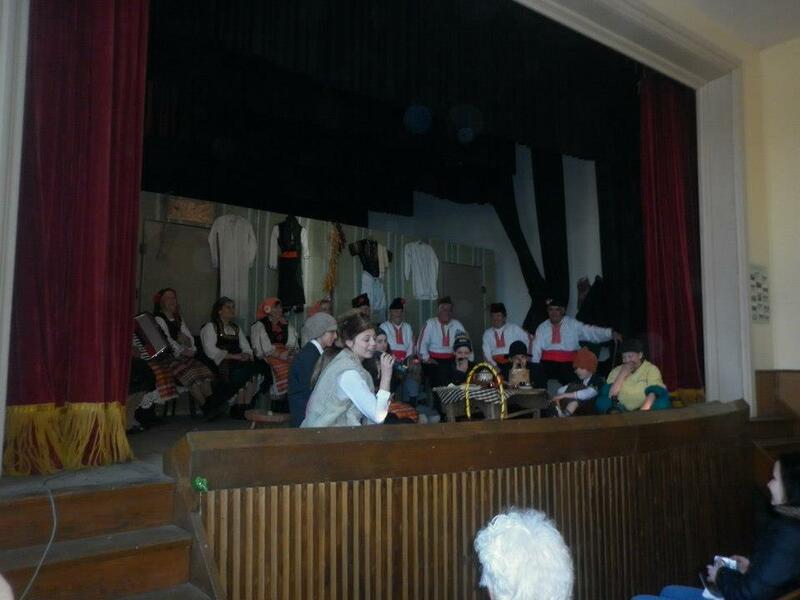 Every year in September the town organized a celebration of the beans with international participation. The village has family hotels, guest houses, restaurants. It is located 7 km northwest of Samokov and 65 km from Sofia. It is situated on the edge of Samokov hollow in the picturesque valley of the river Palakaria and surrounded by the Rila, Verila, Vitosha and Plana mountains. The altitude is 970 meters and its inhabitants are 692. The fair of rayovo is on Ilinden /St. Elijah’s Day/. The local church exists from the 13th century and is a cultural monument. It is located 12 km away from Samokov, 22 km from Borovets, 50 km from Sofia and only 2 km from the resort Belchin. 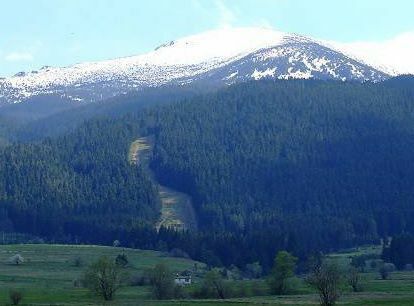 It is situated between the mountains Rila, Verila, Vitosha and Plana. The altitude is 900 m. In the south end of the village runs Palakaria river. Residents are 188. Every year the traditional fair is held on St. Peter's Day. 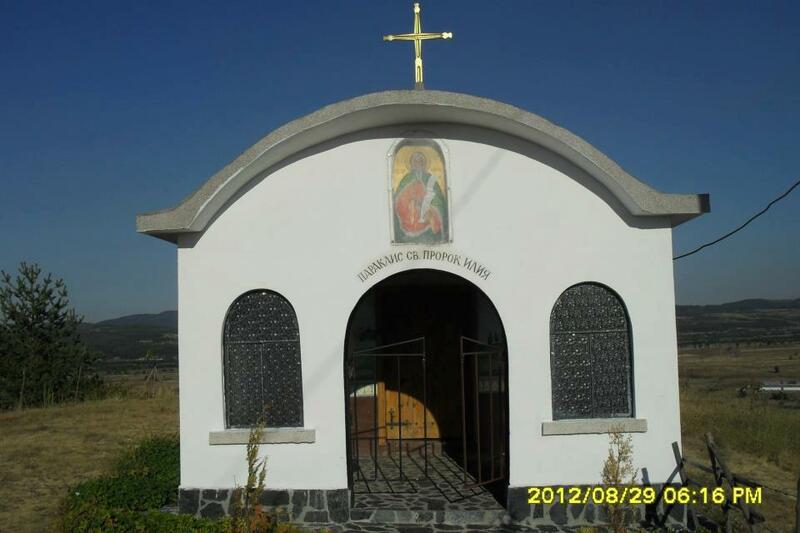 The new church in the village "St. Archangel Michael " was built in 1922 with funds and labor to the residents. It is one of the largest in the region. 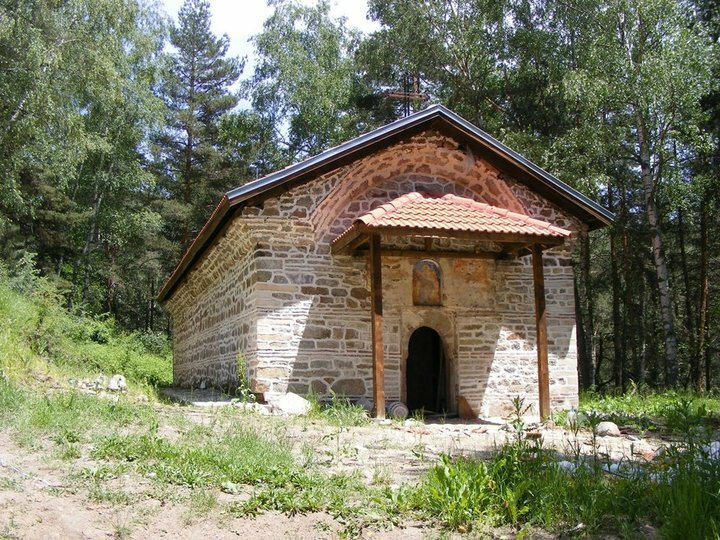 The old church "St. Nicholas " was built during the Ottoman rule in the forest, on the southern slope of Plana mountain. This temple is a monument of culture. It is known as an old village situated on the passage to the road connecting Kostenets, Dolna Banya and Samokov. Some of the locals once guarded the entrance. In the surrounding area of the village during the Ottoman rule was mined and processed ore. The celebration of the village is on 15th August - the Virgin Mary’s Day. An important sight is the church. 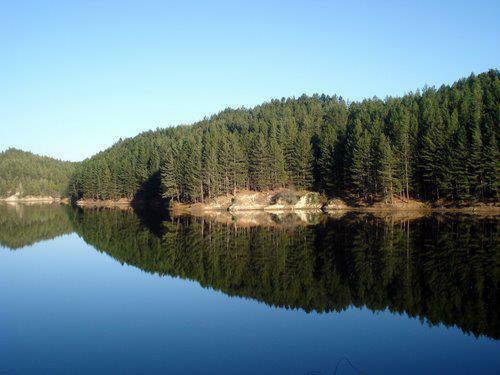 Ten kilometers away is the dam lake "Iskar", which offers excellent opportunities for fishing, water sports and picnics. 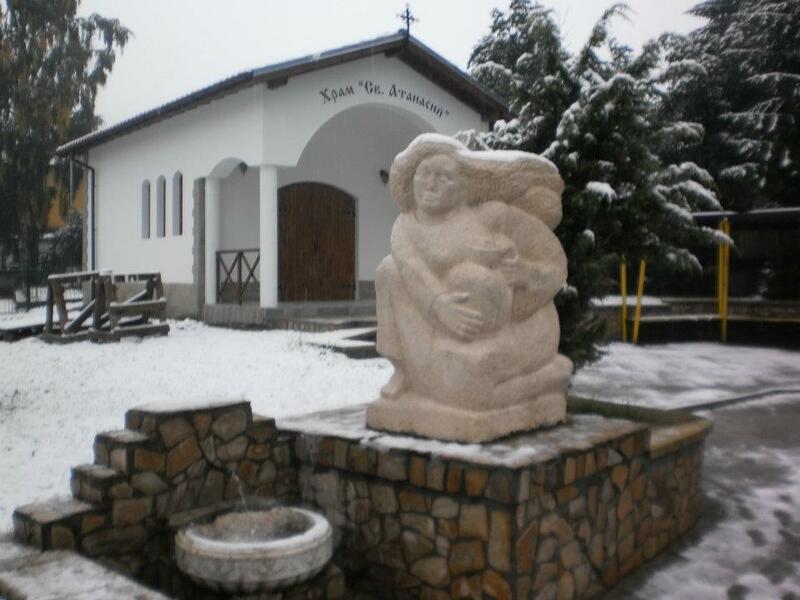 It is situated at the foot of Plana mountain, 8 km from Samokov, 18 km from Borovets and 54 km from Sofia. The altitude is 870 meters. 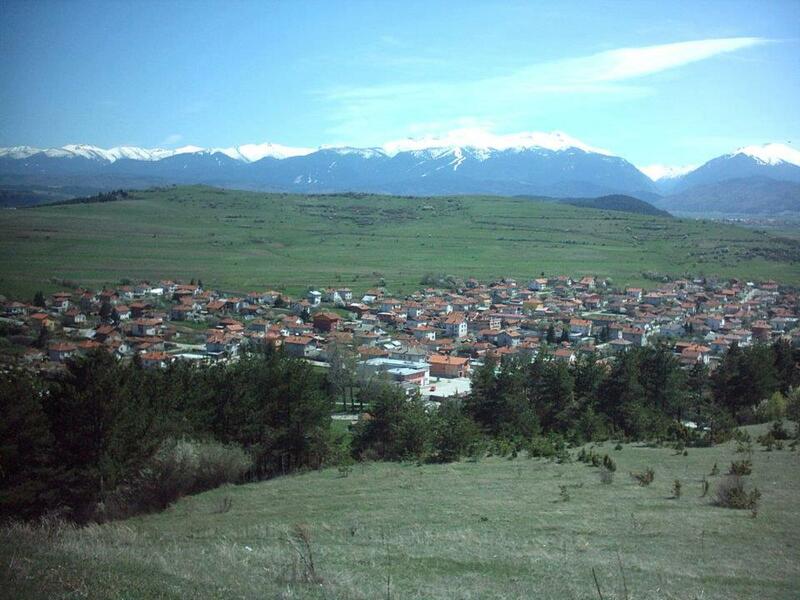 The village has 958 inhabitants and is the third largest in Samokov municipality after Govedartsi and Raduil. The old part of the village is located in a wide gorge, in the heart of which flows the river Shirokodolka springing 4 km inside the mountain. To its source can be reached in about two hours, passing through waterfalls and scenic rocks. The village is divided by Palakaria river into two parts. The locals call them "Upper" / "old" / and "Lower" / "new" / village. Above the village is the area Kaleto where are remains of an old fortress. 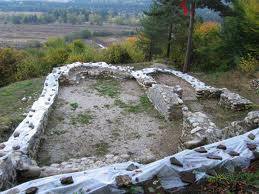 Here the Bulgarians had one of the last battles before the fall under Ottoman rule in the 14th century. 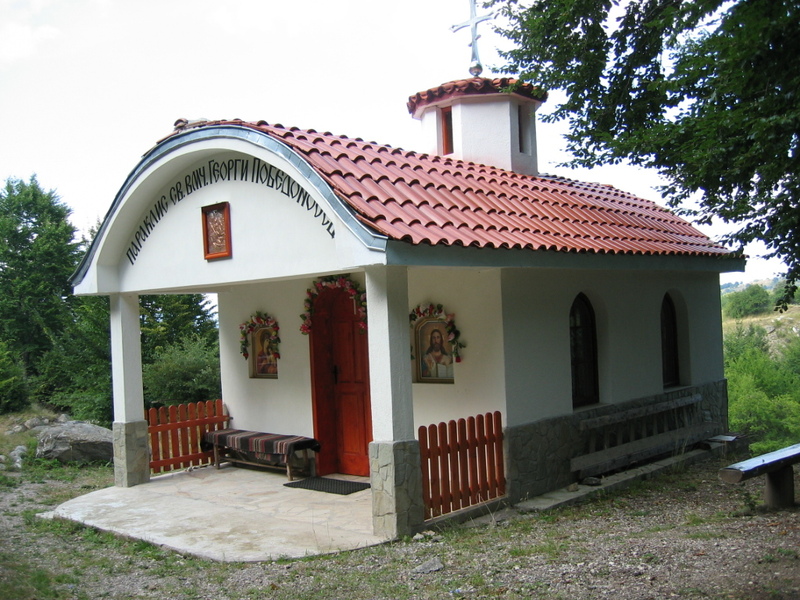 Near the village there is a chapel "St. Elijah ", where every year a fair is held. Nearby there are wonderful places to relax during the warm season. Nearby runs the Iskar River and about 10 km away is the dam lake "Iskar", which offers excellent conditions for fishing, water sports and picnics. The location is on the southern slopes of Vitosha Mountain, 30 km northwest of Samokov, 40 km from Borovets, 18 km from the resort Belchin and 40 km from Sofia. West of the village is Verila mountain. 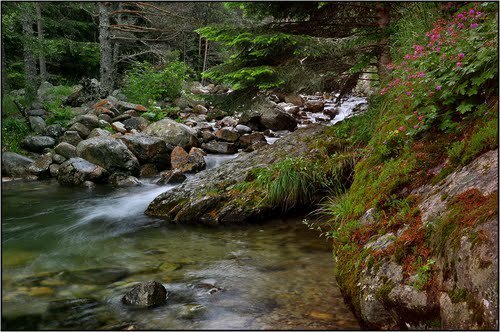 In Yarlovo passes Palakaria river that springs under Vitosha peak Kupena / 2108 m / and flows into the Iskar river. The altitude is 1044 m.
In the middle of the last century Yarlovo was the largest village in Samokov, with over 3,000 inhabitants. After the migration of the second half of the century, now the population is 289 people. Originally the village was close to the entrance Lisets. After the burning of this village in 1792, the residents settled on the current location. 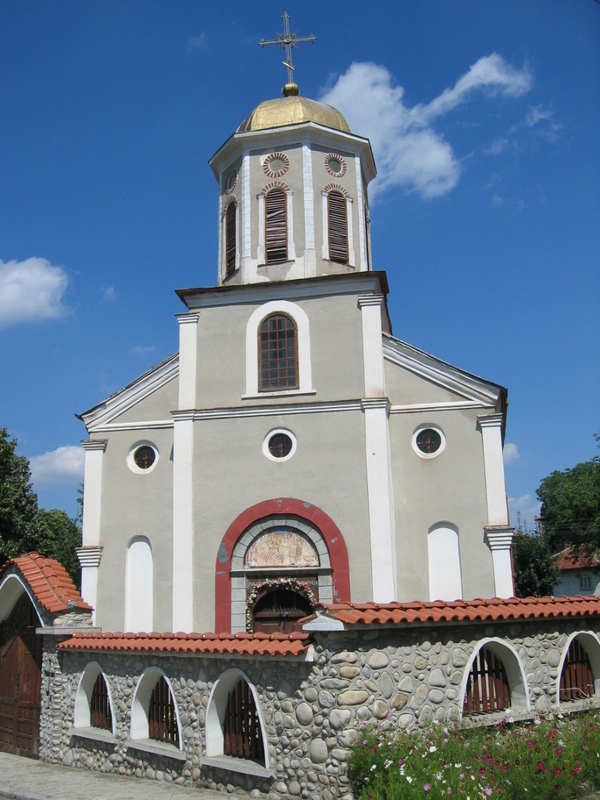 In the early 20th century, was built the church "St. Petka ". 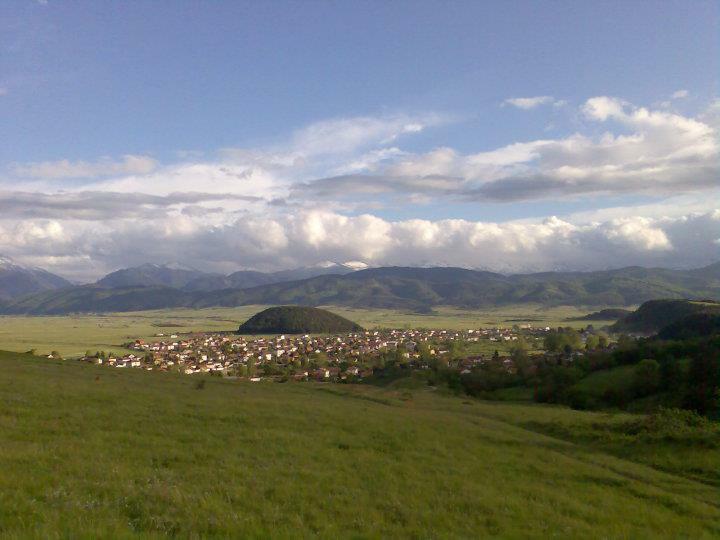 Near the neighboring village Kovachevtsi is the resort area Yarema. Yarlovo is the starting point to climb the highest peak Cherni vrah of Vitosha mountain from the south. Important tourist routes pass here and continue along the ridge of the Verila to Rila mountain.